So…you’re going to change the address and the preparations are almost completed, right? You’ve chosen the new apartment in Dubai’s best residential location, given the notice to your landlord and packed all your suitcases and furniture to start off this new journey. Wait…have you thought about clean the current apartment before handing over the keys to the landlord? If you didn’t then this is the right time to hire move in and move out Cleaning Services Dubai and save your security deposit from deduction in account of this expense. If you’re in a hurry or want to mend the place yourself, here are some interesting tips that would help you in saving the deposit. Read on and benefit from our experience of providing cleaning services Dubai by handing over a neat and clean place to your landlord. 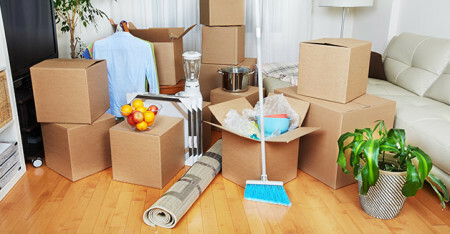 You didn’t notice but while you were packing your stuff to be moved at the new address, you created a lot of mess at your current apartment. Just go around and check how dirty everything is just because you were busy packing up everything. So being the providers of cleaning services Dubai, we’d recommend starting with general dusting and mopping. Use a microfiber dusting cloth to remove the thin layer of dust that has covered everything at your place. Be very precise about nukes and corners that hold the dirt particles in abundance and make them clean if you really want to impress your landlord. Did you know where your landlord head first while inspecting the place for cleaning check? It’s the kitchen area that you’ve ignored during the packing phase of your move and your next step should be to clean it. As a provider of cleaning services Dubai, we recommend everyone keeping the wastage in one corner as it is easy to dump the waste later on. Don’t forget to remove empty boxes and tins that are lying inside the cabins. As you’ve already emptied the place so you won’t have to clean the kitchen in detail as visible shelves will work in your interest. Once the visible items are collected, start cleaning the shelves, floor and stove to complete the process in efficient manner. A clean appearance would not be enough to impress your landlord when your intentions are to avoid the security deductions. Take it from the providers of cleaning services Dubai and keep your bathroom clean. Use industry approved cleaning products to make commode, sink and floor of your bathroom stink free and clean. Making the outer surface clean is easy but your biggest challenge is to remove the smell from the bathroom. If you don’t know how to do it, get the help of professionals and hire cleaning services Dubai to get the job done. If you think that everything has been done on your part then you need to hold on for a second and look towards your feet. See…the floor is still dirty and contains many areas that are seeking your magical powers to be cleaned. So take out those mops and brooms and start off cleaning the floor in order to make your place clean enough to impress the landlord.